How have you all been?I am super busy with my new ONLINE STORE and enjoying the whole process:). Thanks for the fantastic response to our little store,we are humbled and we promise you to bring more exciting stuffs in future.Now with all the work has been done and we have been all set with the store works,we have a candy for you all as a note of thanks and to share our happiness. Share this candy on your facebook page and keep the setting of the post to PUBLIC. If you make any purchase in our store during this candy each purchase will give you an extra entry. Happy to participate in Bits an' pieces celebrations. Love your work. Your new website is too good. Its very usable and good on eyes. Congratulations kavitha for the store. Adore your work. posted on my blog about this and the link is http://snapkavi.blogspot.ch/2013/06/bits-pieces-paper-boutique-celebration.html , I posted on fb,put the pic on my blog side bar. Thanks for the chance. Your website is good with all the stamps,pps, I just found that quilling supplies are less, i was looking for quilled creations tool and moulds. It may be early to ask it but keep in mind about this for quilling beginners like me :) thanks for the chance. Have done all the requirments..
Hope i win this candy! Congratulations on the new store Kavitha di! It's very user-friendly and I love the logo! Looking forward to more fun supplies being added soon. You are so generous to offer such a candy, have done everything. lovely store u hav got ther. This is the first time as posting abt a giveaway on FB. I have subscribed Email and liked FB page as Archana Ramachandran. 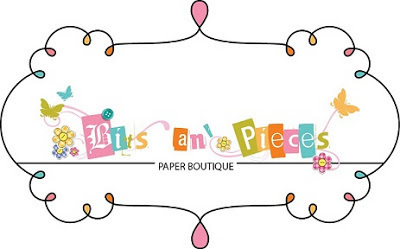 I am so happy seeing online store as it is the best to get all those as we need it.Your store has lots of categories.Would love to buy.I want you to have more more supplies on quilling,scrap booking tools,card making tools and would request you to take part on any video how to make based on different categories that would be helpful to all new crafters to learn new techniques and buy the products as you used for it. Would love to purchase more for sure. If I want to purchase your product this week then will I get redeem? Congrats on new store and wishing you all success.. Thanks for the huge candy...Done all.. Many Many Congratulations on your new venture. YOur online store is surely a next thing which I really wanna hit with sum shoppin :) i Loved those sweet embellishments and charms collection..surealy heart stealing. Wish you lots and lots of success !! Thats an huge candy Kavitha..My best wishes..did all except the blog post. Congratulations Kavitha for the new store.Wish you a great success ! !Thanks for the chance to win this huge candy....done all . Congratulations Kavitha for the store..
And also thank u for such a huge candy!! Wish you success for your your store. Thanks for giving me this chance to win the candy. CONGRATULATIONS ! Kavitha on your Brand New Store. Wishing you the Very Best Of Luck..and Success! Keep getting some Fabulous Craft Supplies for crafters like me..like you have always done in the past!! Thank You so Much for the chance to win a Gift Voucher worth 2500/- WOW !!! The winner will be one LUCKY Person. Also, I have Made a purchase from your store In the 1st-2nd week of JULY ! I have done all...desperate to win this candy!! Yaaayyy...thnaks for the chance to win the candy. hi kavitha ,congrats on your new online store.fullfiled all crieteria,you asked.I am big fan of your card creations.Wishing you the Very Best Of Luck..and Success!Thanks for giving me this chance to win the candy.huge candy ,fingers crossed. Happy to join the candy as its soo very tempting ! Hearty congratulations on the milestone dear... Wishing u all success in this new venture.